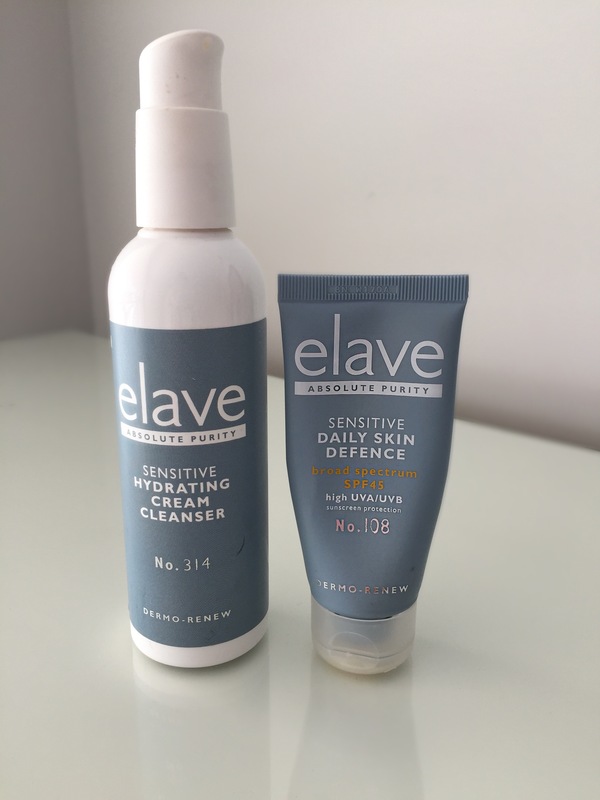 Following on from my previous review on Elave Skincare……this week I am reviewing the Dermo-Renew Hydrating Cream Cleanser and Dermo-Renew Daily Skin Defence SPF45. Like everything I review, I will never bother to put time and effort into writing a blog post unless I really love something, so I hope you realise these are my own genuine thoughts on the products. As mentioned in the previous post, I made sure that I had a couple of months using these products under my belt before I could conclude whether or not I liked them. I think some bloggers nowadays are very quick off the bat to recommend products after a couple of uses. For skincare I truly believe that you need to give it at least 6 weeks before you can be certain that a product agrees with your skin, and that doesn’t cause any nasty reactions. To prove that I’ve genuinely used these products regularly, I have opted to include pictures of the half empty moisturiser and empty cleanser! Perhaps not so aesthetic looking…. but I hope it that proves this review is the real deal! First up is this gorgeous cream cleanser. My main problem with cleansers is that, although they do the job of cleaning the skin, I am always left feeling overly squeaky clean, and as a result of this my skin is left feeling tight and dry. 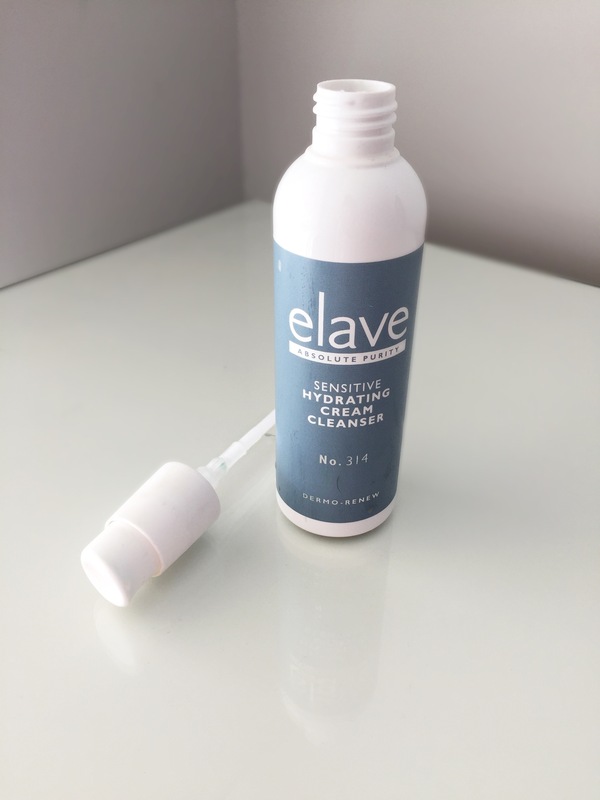 This cleanser is suitable for all skin types and is a blend of Aloe Vera, Vitamins B5 & E , skin cleansers and hydrating emollients, which all help remove impurities and makeup without causing irritation. I have used this cleanser both morning and night everyday since I got it and I am delighted with how well it both cleans my face, and how it leaves it feeling afterwards. The odd night I may be guilty of not moisturising after cleansing, however I am not left feeling like my skin is as dry as the Sahara thanks to the hydrating effects of this. Vitamin B5 is deeply hydrating and helps the skin to absorb moisture from air. It has the ability to penetrate deep into the dermis which combats the appearance of fine lines and wrinkles. Vitamin E helps to combat free radical damage and helps to stimulate natural cell growth. Other key ingredients in this formula include Aloe Vera which is reknowned for its anti-inflammatory, moisturising and antimicrobial properties. Ingredients derived from Coconut Oil are Dicaprylyl Carbonate and Cocoglycerides which both act as emollients that are fast acting and help to remove make up without stripping the skin of natural oils thus leaving it feeling soft and velvety. Overall I really like this cleanser, it effectively removes make up (to the point very little is left when I go to use toner afterwards ). 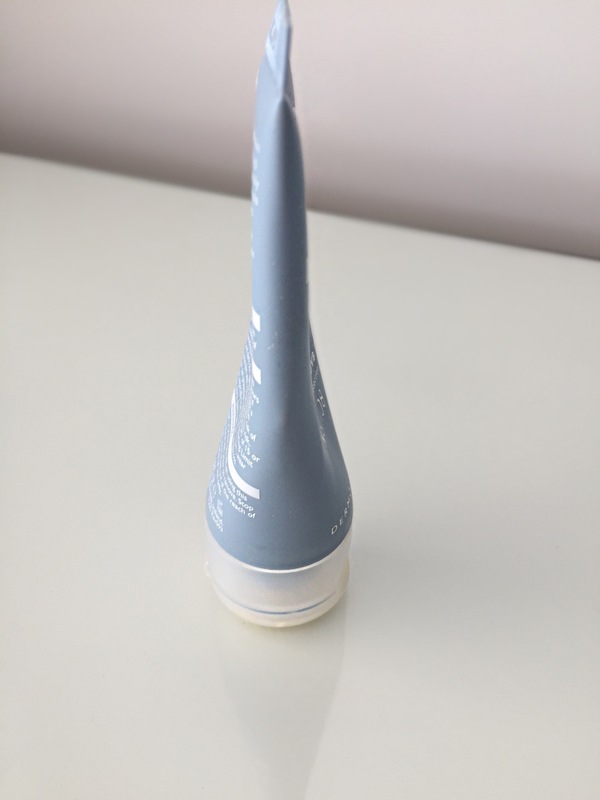 Although it doesn’t state that it can be used on the eyes, I have occasionally removed eye make up with it and it has proved to be gentle enough to do the job. It comes up trumps on other more expensive cleansers I have used in the past that are just too harsh on my skin which in turn have left it irritated and red after use. The proof is in the picture for how much I use it and trust in it! As we are becoming more aware of the damaging effects from the sun’s UVA and UVB rays, it is so important to invest in Skincare that combats these harmful effects. Sun damage is irreversible, so prevention is the cure. If you are anything like me however … you may know all about what you should be doing, but you are guilty of skipping steps to prevent Sun damage as it can sometimes be that bit too much of an effort to remember to wear an SPF everyday. 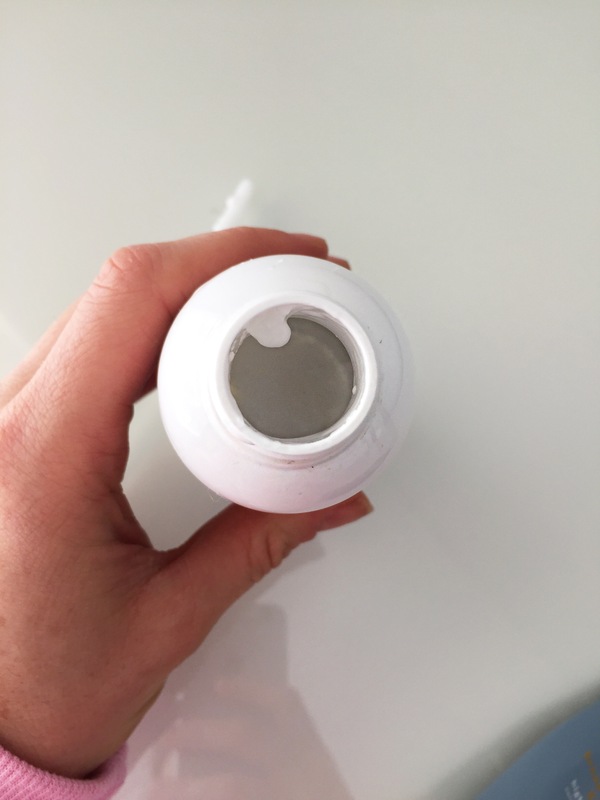 What I firstly adored about this cream is that it already has an added SPF45 (hallelujah!) so not only are you reaping the benefits of a moisturising day cream, you also don’t need to go to any extra lengths to apply sun protection. This cream is an oil free emollient that contains invisible Zinc, along with Vitamin B5 and Vitamin E, which means that it is both antioxidant rich, and also protects and repairs the skin from harmful environmental damage. This cream is suitable for all skin types, and is absorbed very quickly into the skin which I think is really important for a day cream. I usually find that anything with an added SPF can be very slow to soak into the skin and can leave a sticky residue. This cream acts as a really nice primer before applying makeup and (as mentioned before) it is oil free therefore it doesn’t clog the pores or leave a shine. Both UVA and UVB protection is contained in this formula. This means that both sunburn (from UVB damage) and harmful UVA radiation damage that penetrates deep into the skin damaging DNA, collagen production and dermal damage, is targeted against. The invisible Zinc acts as a mineral reflector, which in turn acts as physical barrier towards harmful sun rays. It is a non-chemical sun filter which is suitable for both sensitive skin, and is also suitable to use during pregnancy. I love that this is safe to use in pregnancy as skin is extra sensitive to sun damage during this time and is also prone to pigmentation (chloasma) so anything to prevent exacerbation of those effects gets the thumbs up from me. Antioxidants which help to combat free radical damage from sun damage are also contained in this cream, which include Vitamin E and C. Vitamin E is responsible for reducing the risk of free radical damage, and is used for stimulating natural cell growth to heal and repair skin from the inside out. Vitamin C acts to stimulate collagen production and to protect and prevent against skin discolouration. It is also used to reduce the appearance of fine lines and wrinkles. I have certainly noticed that my skin looks brighter since I first started using this cream. Personally I suffer from dry and sensitive skin so the moisturing elements of this cream really agreed with me. Glycerin is a humectant which means that it helps the skin to retain water which in turn made my skin look plumper and less dull. It also helps to strengthen the skin’s barrier and aids absorption of moisture from the air. Vitamin B5 is a brilliant skin moisturiser which also acts as an anti inflammatory in harmony with Bisabolbol, which soothes and clams irritated and dehydrated skin. As I always mention for any post to do with skin care, my skin is highly sensitive and red blotches and dry patches are something I always suffer with. 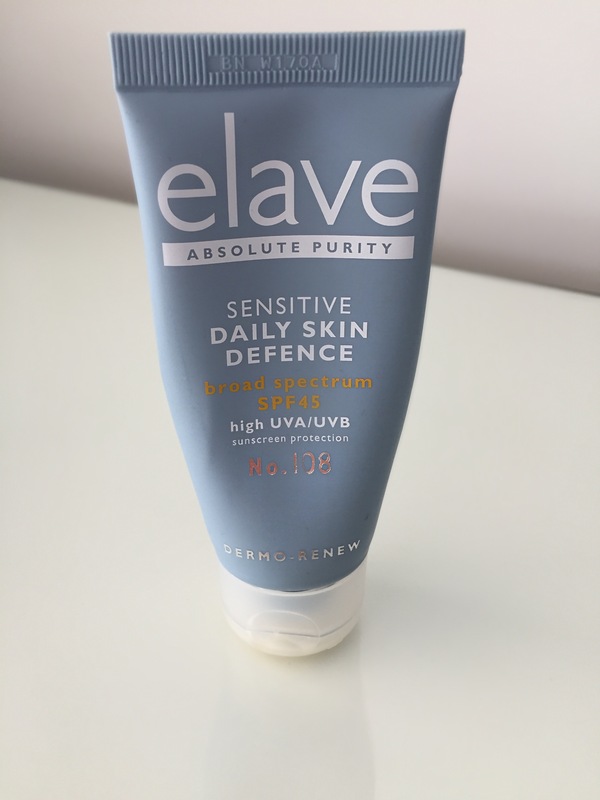 Thankfully in the couple of months of me using these Elave products I haven’t had any outbreaks of this, which is amazing for me as I am always self conscious of this problem. Overall, this cream not only offers great moisturing benefits, but also effortlessly combats sun damage. It is very difficult to find a good face cream which such a high level of protection that doesn’t clog your pores or interfere with make up application. I love that my skin agrees with this, and that I haven’t experienced and stinging or redness from using it, as I regularly have to stop using face creams for that very reason. This cream is one that I will definitely be using going forward. We only get a short timeframe to combat sun damage before it’s too late so Skincare with added SPF is something worth the investment in now before it’s too late.